Now 84, national treasure Alan Bennett shows no sign of slowing down. His whimsical new comedy Allelujah! 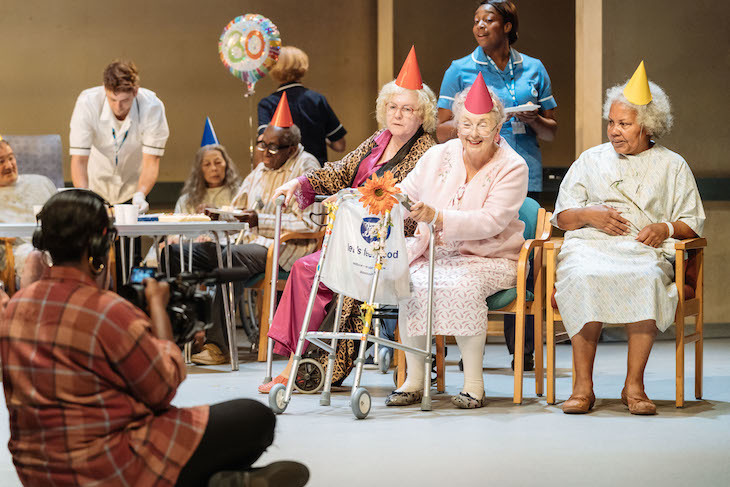 is at heart a moving plea for compassionate nursing of old people as the NHS itself enters its eighth decade. 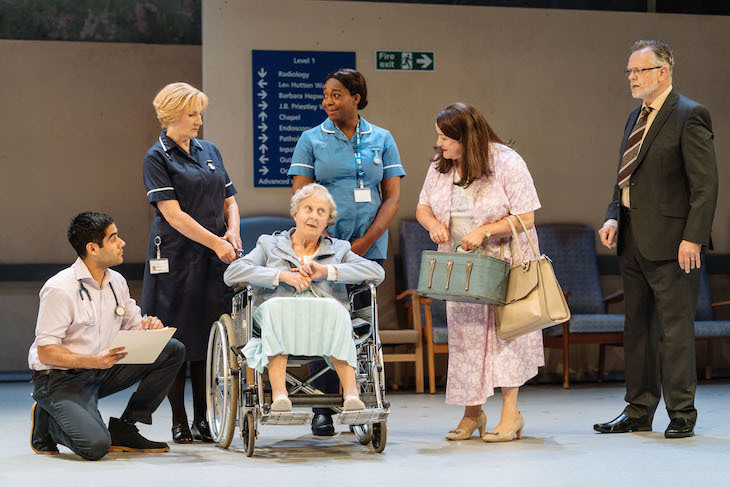 It is set in the Dusty Springfield Geriatric Ward of the fictitious Bethlehem Hospital, on the edge of the Pennines in Yorkshire, an old-fashioned ‘cradle-to-grave’ hospital threatened with closure due to administrative reforms. A TV fly-on-the-wall documentary crew is filming the ‘Save the Beth’ campaign by focusing on the elderly patients’ life-affirming choir. But the headline sensationalism they are hoping to find becomes shockingly real as the play takes an unexpected dark turn midway through. Though dementia and incontinence rear their ugly heads, Allelujah! is shot through with Bennett’s characteristically wry observational humour, as well as engaging song and dance sequences from the patients. 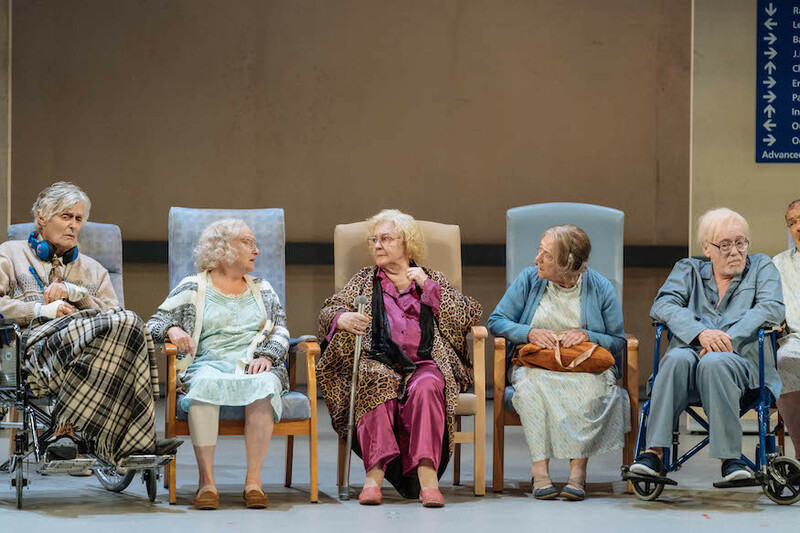 But the play also highlights the increasing problems of an ageing population: with the local council nursing homes full, there is an acute shortage of beds available — until someone dies. 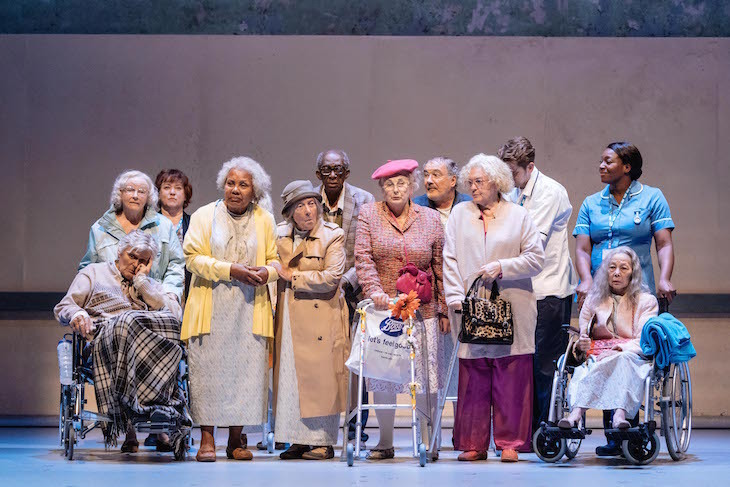 In his seventh stage collaboration with Bennett, director Nicholas Hytner expertly marshals a cast of 25 in an entertaining show aided by Bob Crowley’s flexible design of sliding ward partitions. Jeff Rawle is an amusingly crotchety former miner who receives a surprise visit from his estranged son (the excellent Samuel Barnett), a management consultant in the Department of Health who believes the Beth is out of date. Deborah Findlay also impresses as the sister awarded a medal for 25 years of ‘unblemished service’ who is determined to keep her ward ‘dry’ by whatever means. 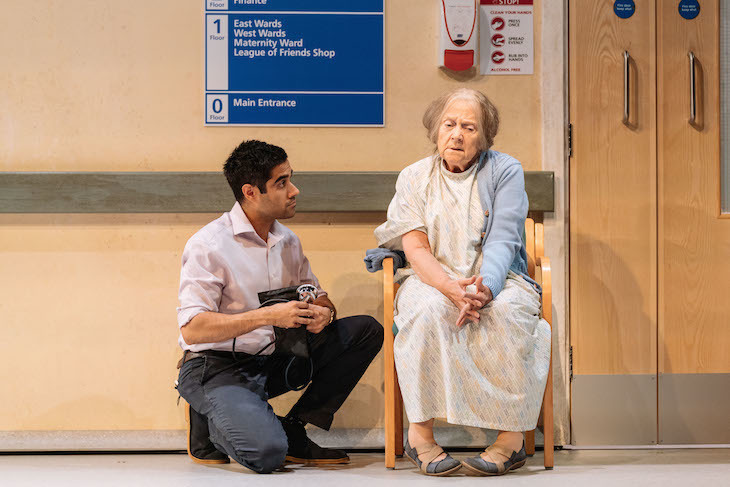 And Sacha Dhawan is the insecure immigrant doctor accused of being too ‘touchy-feely’ who voices Bennett’s humane concern that the old should be afforded the dignity that they deserve. Allelujah!, Bridge Theatre, 3 Potters Fields Park,SE1 2SG. Tickets £15–£65, until 29 September 2018.